The impact of the mother on a boy and the man he grows into cannot be underestimated. It’s the primary connection in the family relationship system, but it is also a genetic and physical bond. Your mother was born with you inside her. The egg from which you were created was already present in her, at her birth and so you were both also inside your maternal grandmother. So you are deeply connected to the feminine and as a result are also connected to the emotions and dynamics emerging from the major events and life experiences that your mother and grandmother experienced. Finding the ‘right’ distance between you and your mother is crucial. If you stay too close it will limit your ability to grow up to be a man and live your own life fully as a partner, father or leader. Many men are entangled with their mothers and so feel overwhelmed by the feminine. These men may struggle with their sexual energy, often turning to sexually predatory and controlling behaviour with women. These men, truly a ‘mother’s son’ (see below) are often the same men who tend to seek power in business and/or society. This can be an outer expression of their inner battle for balance with the source of their life, their mother. If, on the other hand, men reject their mothers, they also reject the many resources that live in her system waiting to be explored and used for their growth, fulfillment and success. Finding the best balance, where the flow of life and love is restored, is a challenge for many. Men are born of women and bond first with their mother. This is a powerful experience for mother and son and can overwhelm and entangle both. The relationship is symbiotic in that the mother loves the son but the son also knows that he will not survive without the mother, so tries to attend to her needs, actively works to keep her present. When a son can’t find the strength to grow apart, to individuate from his mother and stand at his father’s side and move into the world of men, he may grow up to become a ‘Mother’s boy’. How men act and react towards their mother is often the way they will act and react towards their partners and spouses. This, however, is less true for a ‘mother’s boy’ who may act and react to the mother as though she is his partner and see others as somewhat of an intrusion. In this case he may respond to Mum’s call ahead of his partner’s call, creating tension. Men who are overwhelmed by the feminine and get caught in this dynamic may often turn into ‘macho men’ who are on a private mission to conquer the power of the feminine energy, through multiple sexual relationships. They may combine this with loud and aggressive behaviour. Look a little closer and you may see a tattoo or other mark of respect for ‘Mum’ and/or her first name, as if they were friends or lovers. Anyone who insults or appears to insult their mother is bound to receive their most aggressive, often violent attack. Men who are entangled with their mothers and become ‘macho men’, men who pride themselves on multiple, sometimes forceful, sexual conquests, are often stuck in a pattern of inner pain and shame which, when discovered, can lead to overwhelming shame, unbearable remorse, violent anger, a search for ‘revenge’ against their mother / women in general and suicidal thoughts. This is particularly true where some kind of shock or trauma was also experienced when they were children. The combination of the unresolved bond with mother, a trauma and adult – particularly public – shame can be fatal. Other ‘mother’s sons’ are so in tune with their mother and the feminine that they appear to ‘get’ all women and may become ‘the deep friend’ to women with a seductive wisdom and understanding, or be a lover to all but struggle to commit to one, as they have not yet completed with the mother and may therefore not be available to any ‘one’ else. “My mother! My mother, my angel, my adored angel mother,” and Dolokhov pressed Rostov’s hand and burst into tears. At the other end of a spectrum that all men find themselves on, are mother’s sons who have little masculine energy, little sense of themselves as men. These men may also often struggle to take care of themselves as they are caught up in taking care of their mother at a psychological, emotional and practical level. They may sometimes be seen walking alongside, or just behind, their elderly mother, entangled in her life as her devoted boy, unable to become a fully adult man. In this place they may sometimes be aware and resentful, yet dutiful, unavailable to any other woman. In some cases this can lead to sudden acts of aggression and even violence as their inner rage and need to get a greater distance from mother reveals itself. In these examples – and there are many variations between those extremes – relationships with other women are limited as the man’s attention is focused on his mother. He has become a ‘surrogate spouse’ and mother always has first place, so he has little room for closeness or intimacy with another. No one else can measure up to mother. When a woman seeks attention and love from her child in a way that she wishes she had from his father (and usually also her father), or when a boy clings too long to his mother and is unable to make the difficult journey to his father, then he may find himself entangled with her. These inner words, these ‘life sentences’ keep the son stuck in his mother’s sphere of influence. The knots of these entanglements can be loosened over time through careful, respectfully facilitated personal work in a systemically orientated setting. It’s in this context that the balancing words, the ‘sentences for life’, which emerge in constellations, can be useful. “When children say to their parents “Under no circumstances will I ever be like you” they continue to love their parents blindly and are bound tightly to them. In spite of themselves, they commit themselves to follow their parents’ example, and so they become exactly like them. Men who are connected to their mother’s energy, who are not overwhelmed by the feminine and who have the strength of their father alongside as a resource, often experience themselves as happy, content and resourced. A man who is entangled with his mother in a way that keeps her at a distance may feel partially cut off from life, sad and likely to suffer from bouts of depression. From a relationship-system perspective it’s clear – if you are cut off from the source of your life it will be hard for you to feel fully alive. It will also be hard to take in the richness of what life has to offer and difficult to take in what lives in the female line and wider family system for you to grow from. In this way depression may be described and experienced as an emptiness and a longing for an energy or life source that is not there, feels inaccessible or not desirable. Depression can emerge with a particularly potent strength in men who judge and exclude their mothers. Their inner anger at her failings turns within and leads to the depression, which they may then blame on her for not being there for them, for abandoning them. However, what they reject in mother they also reject in themselves, thereby inducing a double feeling of sadness and frustration. A young man may become entangled with his mother due to the behaviour of his father, in such a way that he’s drawn in to defend his mother. This dynamic was perhaps at play with the renowned fashion designer Alexander McQueen who grew up with a violent father who hit his wife and daughters. He appears to have become his mother’s defender. He allegedly fell into a depression which came to an end only when he killed himself the day before his mother’s funeral and after the death of his mentor Isabella Blow, his mission to save his mother – and perhaps all women – at an end. In this way he was also perhaps unconsciously loyal to his father and his violence. When a man is so close to Mum that he struggles to individuate, he may struggle to see his life or even imagine his own future, instead seeing only Mum’s life and his need to protect it. He is not invested in his future but perhaps more stuck in the past, her past, her life, her dreams. The entanglement may lead him to connect with women he thinks he can save, but may cost him dreams of a future and his own family. He might also find it easier to connect with a number of women but only to a point before ‘duty calls’, leading to frustration and depression and a sense of feeling trapped in a life or fate that is not his to live freely. Men with a particular bond to their mother may also become overly-romantic men. This dynamic, which is sometimes combined with bouts of depression, is explored in the next section. Men who adore their mother but remain in her sphere of influence for longer than is healthy may become ‘romantics’ as a way of staying close to her. The novel ‘Dr. Zhivago’ by Boris Pasternak was turned into an ‘epic romantic’ film of the same name. The central character Yuri, played by Omar Sharif, loses his mother at age 10 but she leaves him a musical instrument, a balalaika. This instrument stays with him through his life as he grows to become a poet, a romantic poet. He teaches his lover Lara, played by Julie Christie, to play. They are separated and years later he thinks he sees her in a street in Moscow. Running after her he suffers a fatal heart attack. At the very end of the film the balalaika is seen again, over the shoulder of Lara’s and Yuri’s daughter. The balalaika was a gift from a mother to a son and remained the only thing that was constant in his life, connecting him to the women he loved including the one he fathered. A man in a line of women, deeply connected to his mother. It’s a striking metaphor for the strength of a bond between mother and son and how that can ripple through the generations. Men who adore their mother can show up as Casanovas, the darling of many women, romantic to a fault. They may seem to understand women deeply and be more attentive than others. They may be described as ‘a deep man’, but they often also have a sadness about them. With a deep understanding of their mother, they may make the grand gestures that appear to make the woman happy, yet be unable to really commit because their deeper loyalty is still with the mother. It’s as though he can be there, deeply romantic and then, a little like Cinderella – when the clock strikes 12, he ‘goes home’ to Mum and disappears. Men who are bonded to their mother, either overtly or covertly, are drawn towards and love to create life-giving systems. This is why men who describe themselves as ‘serial-entrepreneurs’ are also often deeply connected with their mother. They may be very close to her or, more often, overtly distanced, judging and estranged but inwardly searching and yearning for that connection. They may originate multiple businesses in repeating attempts to show their unconscious love, or search for connection with, their mother. There is a separate article on the subject of founders and some of the dynamics around founding an organisation, on this site here. If you are a man who feels drawn into romantic relationships in a repeating but unsatisfying pattern you may also find the article on romanticism useful. When a son sees how his father interacts with his mother he will either attempt to model his father’s behaviour or, if he secretly disapproves, will step in and try and protect – emotionally and sometimes physically – his mother. He will also either model his father’s behaviour towards women, or try hard to do it differently. If Dad is not available, he may move close to Mum, almost like a partner, a surrogate spouse. This pattern can depend on several things: whose fault he thinks the dysfunction is; the one with whom he bonds first and deepest; the pattern in the family or the one who holds his attention the most – it could be Mum’s sadness or Dad’s dominance for example. “If you look at the childhoods of Franco, Stalin, Hitler and Mussolini, one very obvious thing they all had in common was very complex relationships with their fathers. Each of their fathers were frequently absent, and then, when present, were drunk and violent and threatening. That meant each child developed very close and emotionally intense relationships with their mothers. They went through their life resenting their fathers, while they always saw their mothers as a sanctuary of emotional refuge. However becoming mother’s defender, even covertly, causes a wound in the son as he has stepped out of the natural order of things and become ‘bigger’ than his father. His good intention and the blind love of all children draws him into a painful and long-lasting systemic entanglement which will colour and limit his life, relationships and work. When the father is emotionally or physically unavailable the son can become distant from him, to protect himself but also his mother. The son knows that his life depends on Mum being around and so he gets closer to her and rejects Dad. Sometimes with an anger, knowing that he is having to take on a place in the system that’s not his. He can then become the ‘parent’ in the family giving and giving, in an attempt to show them that he needs to receive. This pattern then informs life, relationships and work. Watching Mum and tending to her needs can create an anxiety for the boy. In a sense his life goes into service of hers. He may become the pleasing son, the dutiful son and in some cases the colluding illegally with Mum son. This dynamic is reflected in the plot for Alfred Hitchcock’s film ‘Psycho’. When a boy has a father who is difficult, dangerous or controversial and he protects Mum, he also shuts down half of himself. When he cannot connect overtly to what is strong and positive in his father, he may find himself unconsciously connecting to the painful aspects of his father and then repeating a version of his struggles later in life. These men may often be ‘on a mission.’ This, perhaps, may have been an undercurrent in the political crisis and leadership vacuum that emerged in the UK in the summer of 2016. In Nigel Farage’s (then leader of the UK Independence party ‘UKIP’, campaigning for Britain to leave the EU) autobiography ‘Flying Free’ he describes the shock, at aged five, of hearing that his parents were to divorce. “I bitterly resented the censorship which had kept me in the dark until the sudden announcement of the fait accompli.” Perhaps the sudden need to take care of his mother – “I was the man of the house now” – and his displeasure at his father was a hidden dynamic in his campaigning against “the old men in Brussels.” For, once independence from the ‘old men’ was gained, he suddenly resigned, saying that his job was done. His mission complete. On the other hand considered recognition and approval of a son by his father allows for growth to happen in a way that is balanced and encouraging and supports the separation of the son from his mother. Boys, just as girls do, bond very deeply with their mothers when they are young and they are wholly dependent on her presence. This deep connection often extends to other women; for example nursery nurses, babysitters, care workers, sisters and female teachers. Young boys are often surrounded by youthful female energy and it can subtly dominate, sometimes overwhelm their psyche. If the boy struggles to get out of his mother’s sphere of influence and stand alongside his father as an adult man, this can become one source of the search for younger women, where the man yearns for the deep connection he once had, now almost out of his conscious awareness but deeply held in his inner image of women. His mother was, by definition, young when she gave birth to him, in her twenties or early thirties perhaps. This youthful energy infuses his mind and emotions and he is both ‘in love’ with her and also utterly dependent on her. This complex duality can have an impact on him as an adult man and can lead him to search for that connection with youthful female energy that embodies that same mix of intimacy and caretaking. When you see a man with a younger woman that duality is often embodied – a mix of visible intimacy and sweetness and a degree of ‘taking care of the other’ in both, often the woman to the man. A recent UK study found the proportion of women marrying younger men rose from 15% to 26% between 1963 and 1998. The study also showed a higher divorce rate as the age difference rose when the woman was older and a lower divorce rate as the age difference rose when the man was older. Because men tend to mature later than women, it can also be that a man feels able to ‘start again’ when he is older, especially if he realizes that he has ‘married his mother’ in his first partnership as so many men do. For some men, particularly perhaps mother’s sons – who are drawn towards all life giving systems – they may also feel a drive to create more children, in order to ‘get it right’ second time round. The combination of maturity and success through his work can liberate a man and attract younger women who may themselves be looking for a more mature man, a man who has ‘played his youthful games’ and is more able to truly commit. In this way the relationship could be seen as a balance between her youth and beauty and his sense of his place in the world, his psychological ‘weight’ and groundedness. Women who have been abused (physically or emotionally), or abanonded by a man in the past, may also choose an older man, a ‘father figure’ who is also probably a ‘mother’s son’, because she imagines his sexual energy is dimmed, so she will be safe in his arms. However, the painful pattern tends to repeat in these circumstances and the woman may find herself abused in some way again. There are often a number of complex dynamics in older/younger relationships and although some fail, many can last, especially if they are balancing something that was out of balance in a previous generation in one or both family systems. For example if a man finds his ‘soul mate’ late in life and feels drawn to balance all the love and care his mother gave him the relationship may endure. This is one way in which systems self-regulate in the search for coherence and balance. As a man you may resist the simple truth that a reconnection with your mother offers you serenity, belonging and a different relationship with women. In fact it’s likely to seem like a crazy idea – why, isn’t it she who abandoned/abused/forgot/hurt/got too close/not close enough in the first place? Your judgment over her, your rejection of her – or her of you – may keep you overtly distant but covertly deeply connected in a profoundly painful way. Family system constellation and systemic coaching work was developed around this and other themes that serve the restoration of the flow of love between parent and child and so offer a fresh path to insight, compassion, dignity and integration. The journey home can start in individual systemic coaching or in a constellation workshop, and will continue for years after – a life long journey back to reconnection, back to mother. Go back to her, see her as she really was – as your mother yes, but also as so much more. A daughter, a sibling and grandchild. See her without judgment and with compassion for her difficulties, her pain as a result of her entanglements – that will have their roots in the time before you were born, maybe in the time before she was born. She’s just a human being, a woman doing her best with the resources she had available. She gave you life and a little more besides. Use it well. When you look at your mother through a multi-generational, whole system lens, patterns, entanglements, compassion and fresh opportunities begin to reveal themselves. In this way you can integrate her as she is or was, start to slowly move away again and stand at your father’s side. A man. ‘Only when a boy’s attachment – loving or resentful – to his mother is resolved can he give himself fully to his partner and enter manhood. A girl’s attachment to her father – loving or resentful – must also be resolved before she can give herself to her partner and be a woman. Success demands the sacrifice of our earlier childhood bonds – the boy to his mother and the girl to her father. This article was authored by John Whittington in consultation with Judy Wilkins-Smith. A systemic perspective is one that takes the whole relationship system into account and is underpinned by an understanding of the human need to belong, the hidden loyalties, repeating patterns and entangling or resourcing dynamics that arise as a result. For further reading on the search for romantic attachment see here. For further reading on founders see here. For articles on other subjects please see the ‘Articles’ page on this site here. For further reading with a systemic perspective please see the ‘Further Reading’ page on this site here. 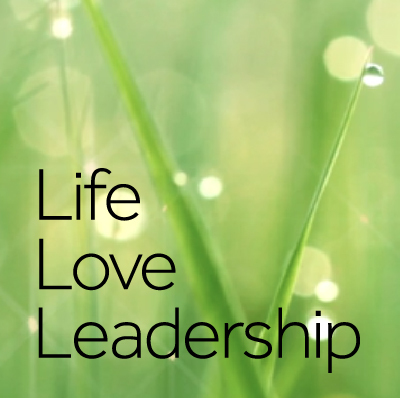 These external links are provided as additional reading material, are not written by or endorsed by LifeLoveLeadership and do not include a systemic perspective. They are offered only as further reading and offer other perspectives. An article in The Huffington Post about the relationship between men and their mothers and divorce by Jackie Pilossoph here. An article about the impact of a ‘too close’ mother on a man and his love life by Thomas Jordan here. BBC journalist Justin Rowlatt meets Prince Cyrus, a mothers’ son to the end here. An article in Psychologies Today about men mothered by unloving mothers here. Prince Harry highlights the impact of not talking about his mother, Princess Diana, who died when he was 12, here. An article about the impact of the British boarding school system on boys who become leaders and their subsequent rejection of women here. An article about British Prime Minister David Cameron and the influence of his mother, along with other examples of politicians with particular relationships with their mothers here. Trailer for a film ‘The Childhood of a Leader’ about the impact of the family of origin and mother/son relationship on a young boy who grows up to become a fascist leader here. Trailer for a film ‘InUtero’ about the impact of the mother’s life on her baby here.